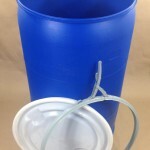 Our 55 gallon tight head blue plastic drum, shown in the picture to the right, has one 2″ NPT and one 2″ buttress plug (bung). NPT stands for national pipe thread and it is a U.S. standard for tapered threads used on threaded pipes and fittings. Tapered threads, when torqued properly, pull tight and make a fluid tight seal. NPT plugs, also called NPS plugs are fine thread plugs. The other plug, or bung, on our drum is a buttress plug. 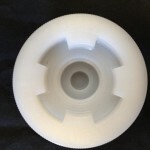 A buttress plug is a course thread barrel bung. 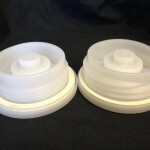 Both bungs have an EPDM gasket and a 3/4″ center reducer. 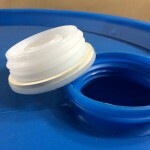 The center reducer has a plastic diaphragm that can be knocked out. Once knocked out, a range of items can be threaded into the 3/4″ NPS center including pumps, faucets, spigots or vent plugs. This drum has a UN rating of UN1H1/Y1.8/100. 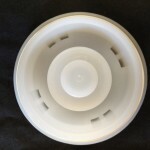 Pictures showing the differences in the plugs can be found below. 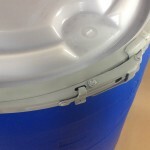 This drum is suitable for hazardous liquids in Packing groups II and III. 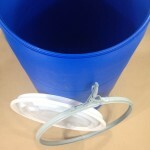 It is also suitable for non-hazardous liquids such as janitorial supplies, food products and more. 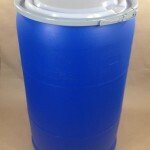 Our 55 gallon open head blue plastic drum has a natural colored cover which is held to the drum body by a lever locking ring. This drum has a UN rating of UN1H2/Y250/S. 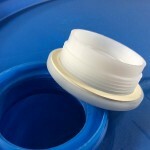 This UN rating makes the drum suitable for hazardous solids in Packing Groups II or III. 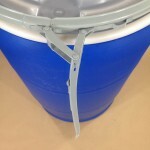 As with the tight head drum, however, it is also suitable for non-hazardous products. 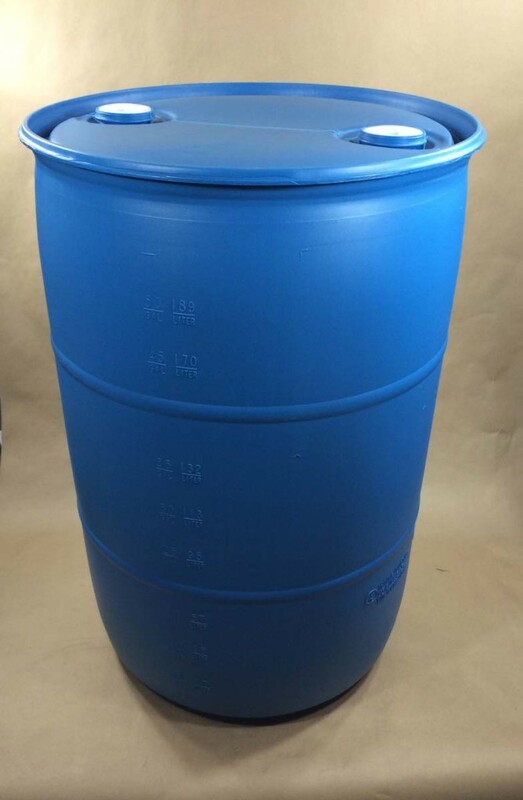 This drum is a food grade drum and may be used for any food products that can be stored or shipped in high density polyethylene. 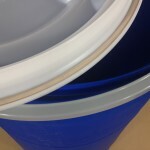 Common non-hazardous uses are for ice melt, sand, wine and more. 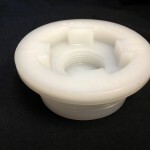 If you need an open head drum (cover comes completely off) but need fittings in the cover, we stock this same drum with fittings for $1.00 additional. The item number is VAN55OHBL-NA23. As always, compatibility of the product with the container it is being shipped in is the responsibility of the shipper.